Seeing the big picture can be difficult. 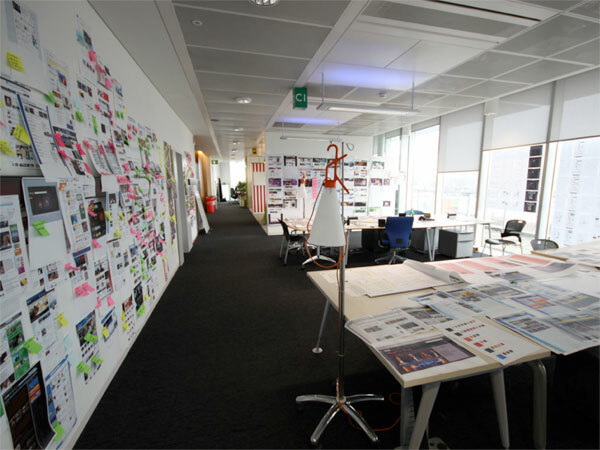 Working walls can be a great tool for both generating and focusing on ideas. In Up On The Wall: How Working Walls Unlock Creative Insight, Laura Busche speaks to how working walls aid the design process. She also provides some solid templates that can be used to accomplish different tasks. I’ve really missed having dedicated, permanent space for this at my current employer. If you are similarly space challenged, you can make portable boards on foam core or another type of lightweight, flat surface that can be carried from room to room.